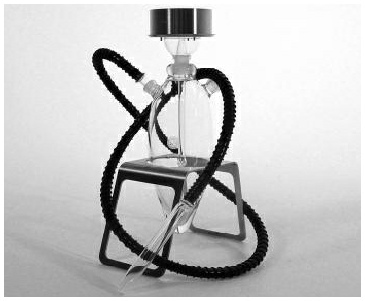 We have the best glass hookahs for you to choose from. Come by and see which one fits your personality best. Our glass hookah pipes smoke better than anything you have ever experienced before. Come try our next generation glass hookahs and find out why more people choose Cairo Hookah Lounge as the best Hookah Supply in Dallas, Texas. Every Hookah Pipe needs a nice bowl. Our extensive selection will not disappoint. If you are looking to upgrade or shopping for your first setup, we can help you with our large selection. AL Fakher is an authentic shisha which is guaranteed to satisfy. The double apple flavor is time tested which means you will get a delicious smoke with a delicious finish every time. We always keep this brand in stock due to the high demand. Starbuzz is one of the best, if not the best domestic Hookah tobacco on the market today. Come try one of the many flavors. Social Smoke is another well made flavored tobacco you may like. Cairo Hookah Lounge offers the best Glass Hookah Pipes in Texas, conveniently located on Campbell Rd in Richardson. Cairo Hookah Lounge has a large selection of Hookah Bowls for you to choose from. Upgrade your equipment today. Cairo has a large inventory of Hookah Hoses. Ask about our Mesquite Ice Tips to help keep your cool. Cairo carries an extensive selection of Shisha including AL Fakher Double Apple which is a classic that everyone must try at least once. Ask about our large selection of flavored Starbuzz tobacco. We also carry Social Smoke with many flavors to choose from. Cairo Hookah Lounge offers a very large selection of Hookah Tobacco, Pipes, Hoses, Mesquite Ice Tips, Bowls, Charcoals, Bases, and accessories for you to choose from. Come find out why more people choose Cairo as the premier Hookah Supply in North Dallas. Cairo Hookah Lounge in Richardson offers a large selection of Hookah Pipes, Hookah Hoses, and Hookah Bowls. More people choose Cairo for Richardson Hookah Pipes and Accessories. We have every shape, color, and size for you to choose from. Come by and see which one fits your personality best. You can customize your equipment with stylish hoses, bowls, and even Mesquite Ice Tips for the extra cool smoke everyone is talking about. 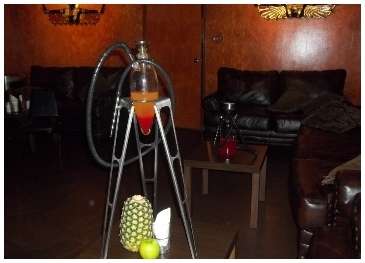 Cairo Hookah Lounge offers the best Hookah Pipes in Richardson, conveniently located on Campbell Rd.